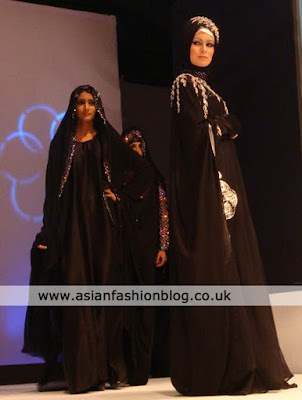 After the success of Hijab Centre at the 2010 Asian Lifestyle Wedding and Fashion Exhibition, there were two hijab and abaya specialists at this years show. 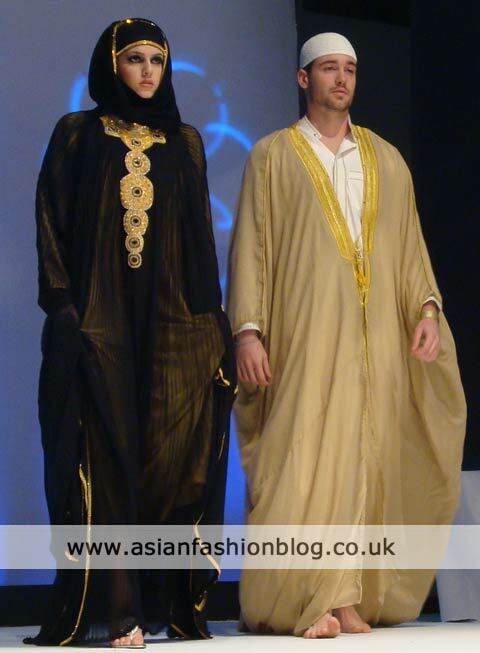 I must admit I wasn't overly impressed with their abayas, I would liked to have seen a bit more colour. 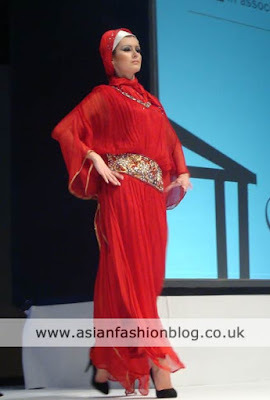 I did however like the evening gowns they showcased towards the end of the show. 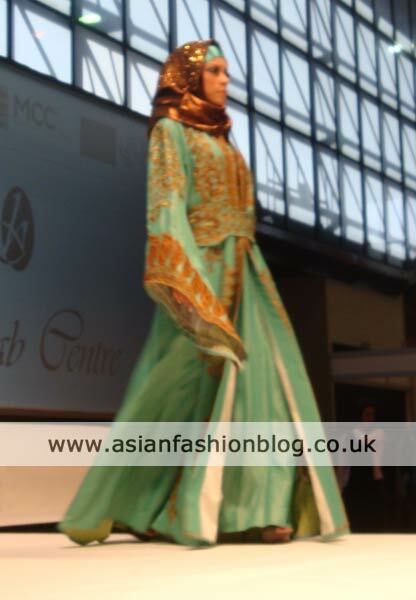 Next were Hijab Centre, who are based in Blackburn. Although their collection was mostly black too, there was a lot more colour compared to Hanayen. 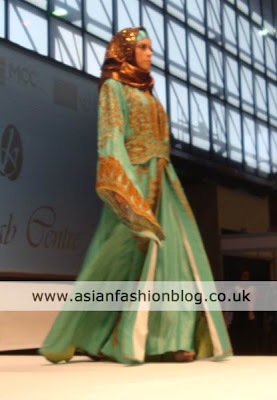 I haven't been in the UK for a while, is this what all the hijabis are wearing now? I find personally that although these styles are lovely to look at, the few that I did buy in the middle East are just TOO much to wear around here, people look at you funny.